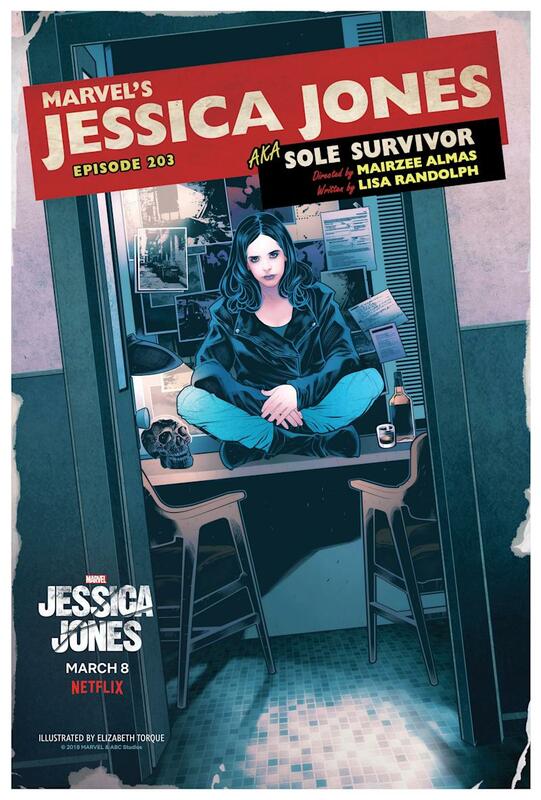 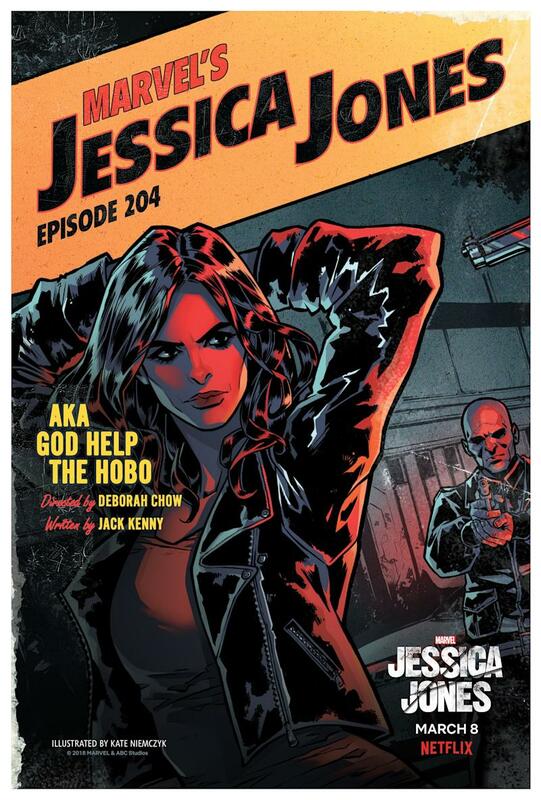 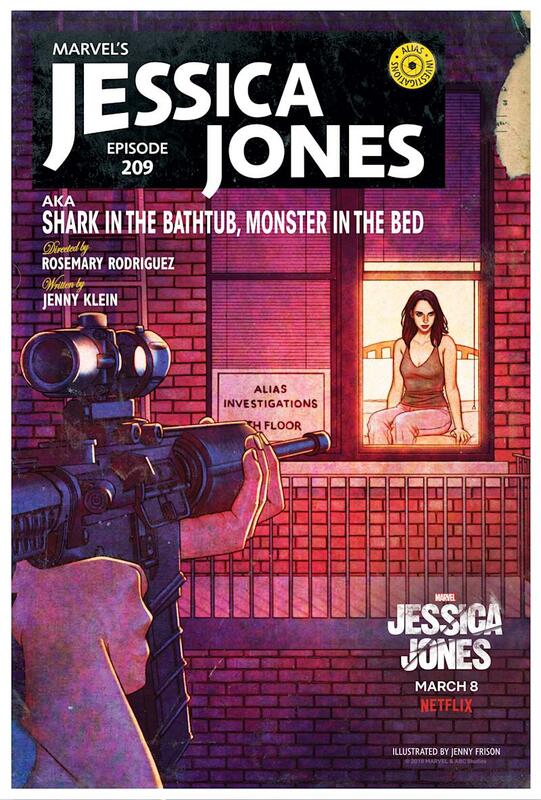 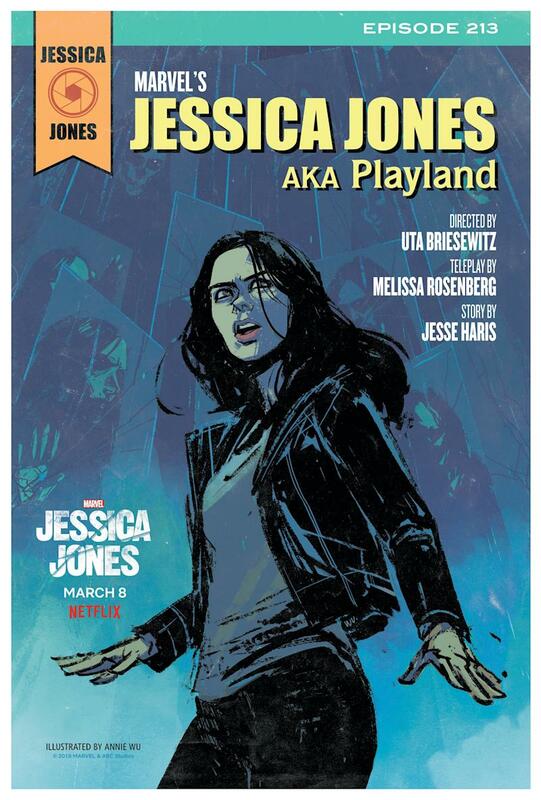 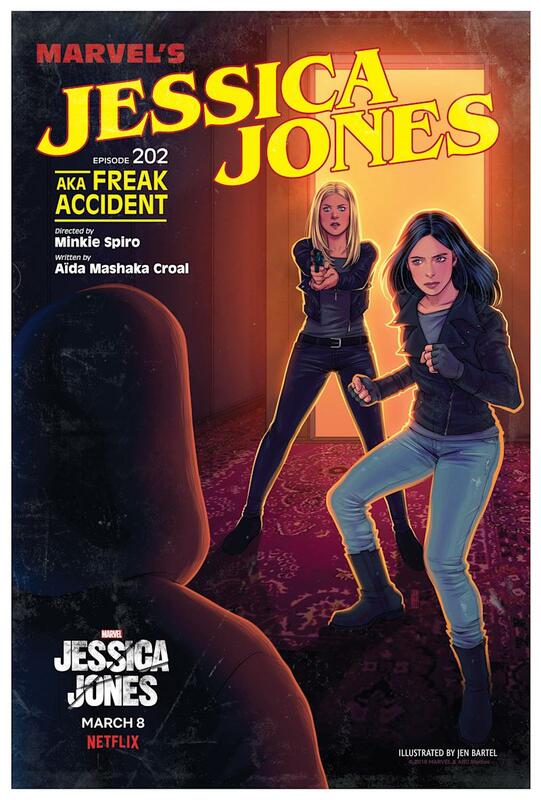 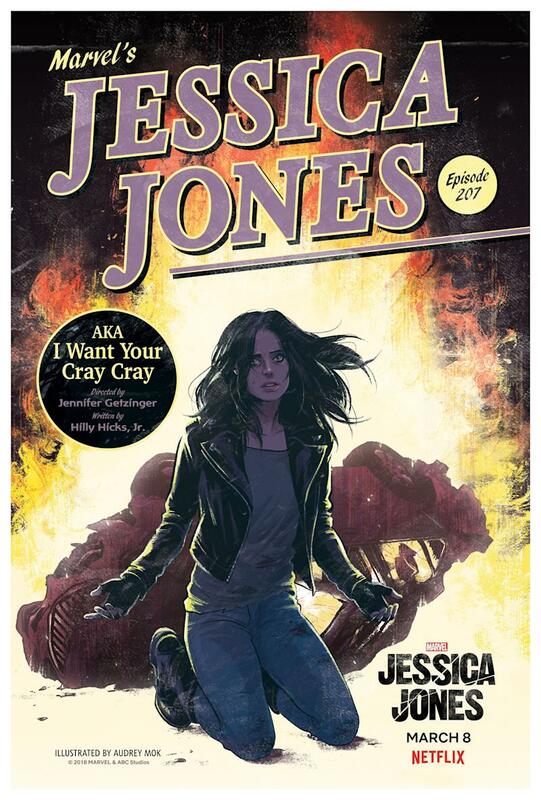 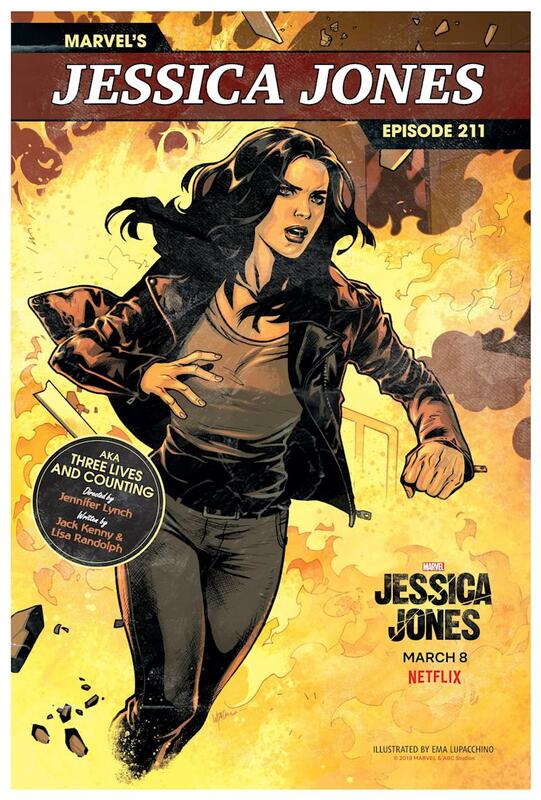 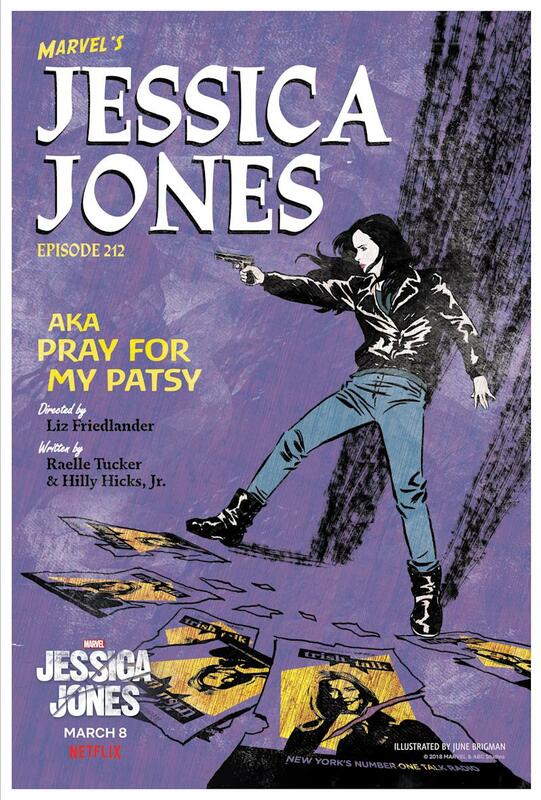 The second season of Marvel’s “Jessica Jones”will debut later this week, but fans looking for spoilers should check out these pulp-style tributes to each episode. 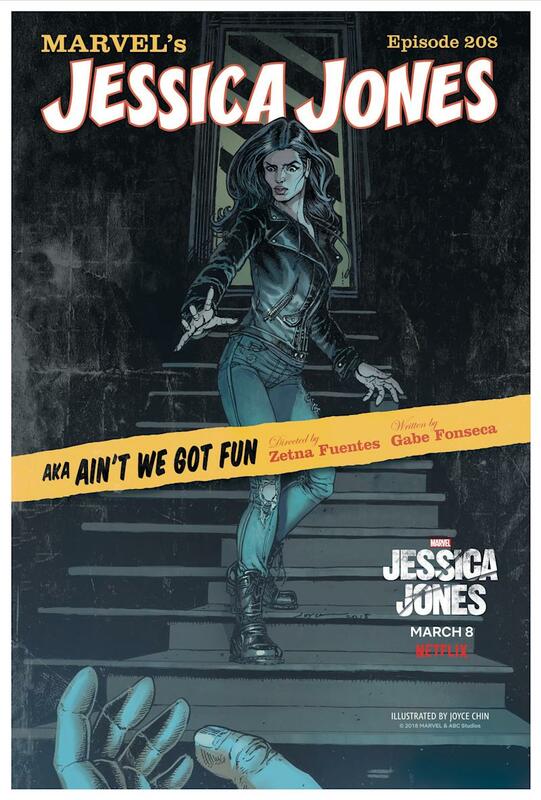 In honor of the show,Netflixcommissioned 13 female artists to create pulp-style covers for each episode. 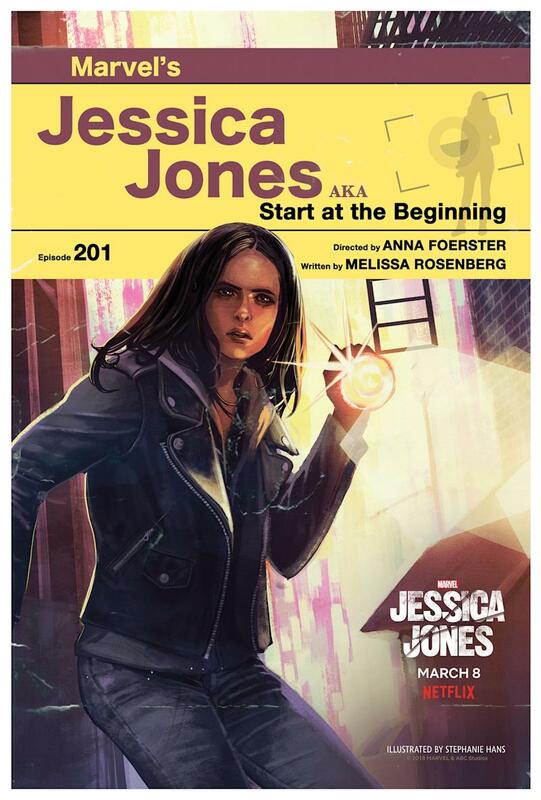 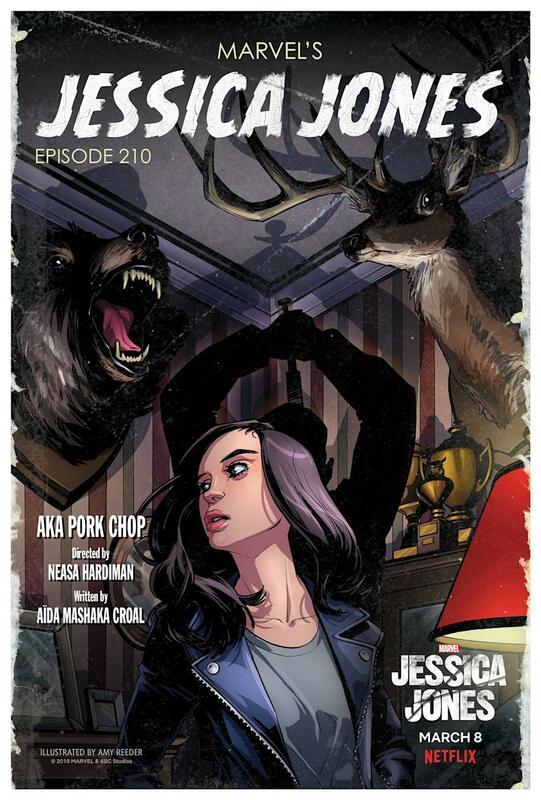 Each “cover” features something that happens in each episode, as well as its director and screenwriter. 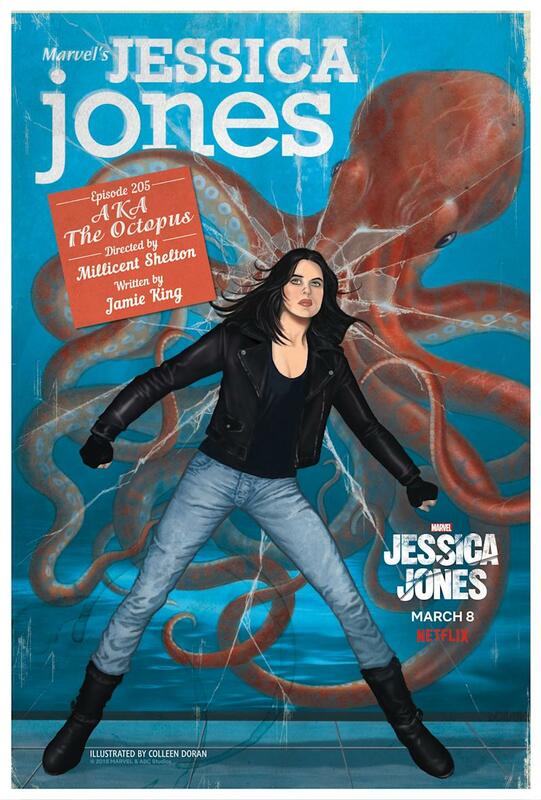 Observers will notice something “super-empowering” about each cover: All the directors this season are women. 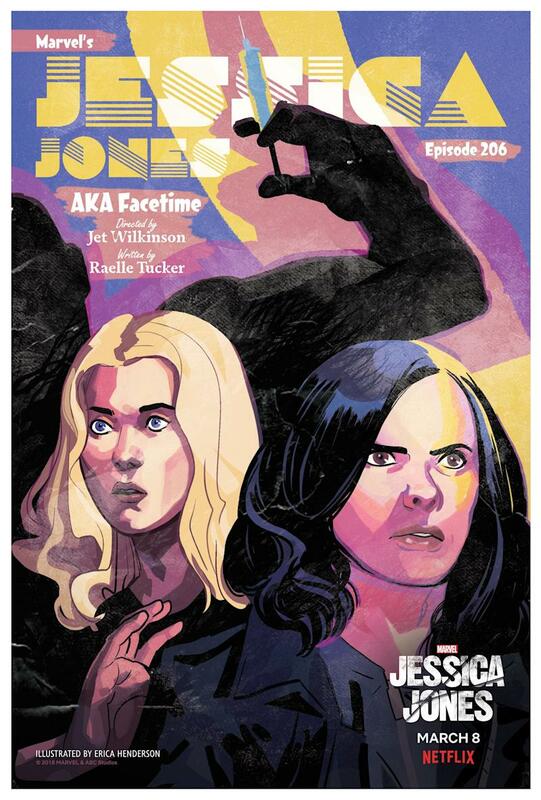 Episode 201: "AKA Start at the Beginning"
Episode 202: "AKA Freak Accident"
Episode 203: "AKA Sole Survivor"
Episode 204: "AKA God Help the Hobo"
Episode 205: "AKA The Octopus"
Episode 207: "AKA I Want Your Cray Cray"
Episode 208: "AKA Ain't We Got Fun"
Episode 209: "AKA Shark in the Bathtub, Monster in the Bed"
Episode 210: "AKA Pork Chop"
Episode 211: "AKA Three Lives and Counting"
Episode 212: "AKA Pray for My Patsy"